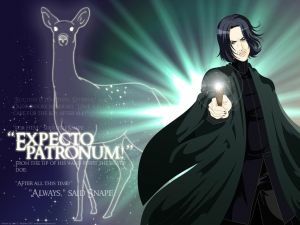 Analysis: Weasleys | Expecto Patronum! The other day, I answered a bunch of questions about the Weasley clan on the CoS forum. Since the Weasleys have just entered our re-read, I thought I’d share my responses here. 1. Do you think that anyone gets “lost” in the Weasley family? It’s a big group with a lot of strong personalities there. Does everyone get a fair look in? Despite the Weasley family size, Arthur and Molly are loving parents who don’t play favorites. The younger kids may get short shrift when it comes to possessions because Arthur doesn’t make enough money to support a lot of recreational purchases (though he does make a sufficient income to provide the necessities). But yes, I’d say that in terms of affection and attention, everyone is treated equally and fairly in the Weasley family. Most of Ron’s concerns are in his head, not based on reality (as we learn when he destroys the Horcrux). Ron’s parents would love him whether he made Prefect, Quidditch team, Head Boy, gets the girl of his dreams – or not. 2. How do you think that Molly and Arthur’s relationship has impacted on their brood and how they see the world. Molly and Arthur have a wonderful, loving relationship that embraces, basically, all people of good will – regardless of blood status. This has definitely rubbed off on their kids. Only Percy goes through a major “status” phase, in which status matters more than personal ties. But at the moment when it matters most, he returns to the values he was raised with and joins his family to fight against Voldemort. 3. What do you think about the fact that we rarely see the entire Weasley Clan together? Is this just “bad fortune” or is there something askew with the family dynamic. No, I don’t think it’s bad fortune or anything wrong with the family dynamic. I think it’s just that even before the drama with Percy, you’ve got two adult sons who are pursuing their careers in other parts of the world. There doesn’t seem to be any strain in the family relationship between Bill, Charlie, and the rest of the family. The only family dynamic issues that come up in a big way are Percy’s rejection of his family and the family’s initial dislike for Bill’s fiance. But by the time Bill and Fleur marry, they have realized that she really loves Bill for himself, and they accept her and grow to love her. 4. How big an impact did Percy’s abandonment of his family from GOF to DH have on his siblings? We’ve seen that Arthur gets quietly angry and Molly gets tearful. Is there anything Percy’s fellow siblings could have done? It was huge. I don’t think there’s anything anybody could have done though. Percy was always status-conscious. He was embarrassed by the fact that his family couldn’t have all those nice things that other families could have. And he wanted to be more successful in his career than his father, so he became a climber. Percy is the only one who could have realized his error, and thankfully he did before it was too late to reconcile. For me, one of the most wrenching moments of the series is Percy’s reaction to Fred’s death. Thank goodness he was actually there and fighting alongside Fred and bantering with his brother. I can’t begin to imagine Percy’s guilt if he had not gone to Hogwarts and reconciled with his family before his brother died. 5. The Weasleys were like a real family to Harry. What’s your view on this given that there were already 7 kids in the family already. Embracing people was integral to Weasley family values. They would not have been the Weasley family if they had not taken Harry in. We grew, the more love we had. I think that about says it. 6. If you filled out the poll above (listing all the members of the Weasley family), why did you pick the character you chose your favourite? I chose Molly… but only because both twins were not an option. The twins are my favorite Weasleys, but I wouldn’t want to choose between the two of them. At any rate, I chose Molly because she’s so caring, loving, human. And she instills those values in her kids, even if they manifest them differently. Even though they’ve probably heard her tell the story of the Boy Who Lived, once Molly has met the actual flesh-and-blood boy, she insists that her kids see him as a person, not a celebrity. She sees him with compassion. This is one of the things I love the most about Molly. 7. Who are least alike in the Weasley family? Who’s most alike? Is there an element of peer pressure on those who are least like the others? Who’s the most misunderstood? Least alike? Uh, Percy and just about anybody. Most alike? Well, that’s obvious, isn’t it? The twins! 8. Given Arthur doesn’t seem so highly motivated, do you think that his children are “over achievers”. 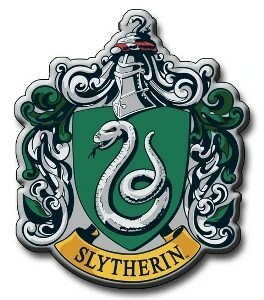 The have been very successful in their fields and indeed in school (think quidditch captains, head boys, prefects etc). If so, where do they get this drive? I disagree about Arthur’s motivation. I think that Arthur has values that do not involve climbing up the ladder and pursuing prestige. Arthur values his family. And that is probably a primary source of his kids’ achievements, with the exception of Percy, who is clearly embarrassed by his father’s supposed lack of drive. As far as I can tell, none of the other kids share Percy’s embarrassment. I think it’s obvious that the Weasleys, generally, are just a very intelligent bunch. Even jokers Fred and George do amazing magic for their jokeshop (and in their battle against Umbridge) – despite not putting much stock in academic achievement. 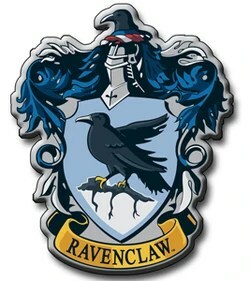 And even though Ron is a bit of an underachiever compared to his oldest brothers and his sister, his raw intelligence is clear from his ability to beat the Wizard chess pieces as early as PS/SS. So basically, I think it’s a combination of raw intelligence and strong family ties that are the primary drivers behind the Weasley kids’ success. Scarlet (from the Persian säqirlāt) is a bright red color with a hue that is somewhat toward the orange. It is redder than vermilion. It is a pure chroma on the color wheel one-fourth of the way between red and orange. Traditionally, scarlet is the color of flame. It may also refer to the color of the blood of a living person. Assuming that Wikipedia has got its Hex color coordinates right (#FF2000), I am now writing in Scarlet. And Harry may not know it yet, but scarlet is about to become, probably, the most important color in his life. After Uncle Vernon drops Harry off at Kings Cross (and the Dursley family laughs derisively at Harry’s claim that the train will depart from the apparently non-existent Platform Nine and Three-Quarters), Harry meets another family: a mother, four boys, and a girl. All with flaming red hair. Hair the color of scarlet. You don’t really need me to tell you what happens next. Harry asks directions to the platform. Molly Weasley tells him how to get through the anti-Muggle barrier. And Harry makes it to the train (which, by the way, happens to be driven by a scarlet steam engine!) What’s more important is the significance of this encounter. The Weasleys will become the first functional family Harry knows. When I first read this chapter, I knew the Weasleys were important. After all, I’d seen five movies! But I didn’t really guess just how important until I was about half-way through with HBP. On reading the chapter again, it’s fun to note that JKR tells us (nearly) everything we need to know about the Weasley clan right here, in their first appearance on the platform! Percy is pretentious, with his silver Prefect badge. The twins are uproarious. Ron is gloomy, worried that he won’t live up to the family tradition. Little Ginny, Harry’s future wife, is already obsessed with Harry Potter, at least in the abstract. And then there’s Molly. “Excuse me,” Harry said to the plump woman. “How to get onto the platform?” she said kindly, and Harry nodded. “Not to worry,” she said. No matter how large, the Weasleys are a close-knit family, with enough love to overflow family boundaries, and Molly is a caring guide. Their mother suddenly became very stern. Did I mention that I love Molly Weasley? Given the kids’ awareness of Harry Potter, it’s almost certain that she has told her children the story of the Boy Who Lived. But when she actually meets the famous boy, Molly regards him as a human being, not a symbol and not a celebrity (unlike the hero worshippers at the Leaky Cauldron), and she instructs her children to do so too. On learning who he is, the first words out of Molly’s mouth (“poor dear” and “he was ever so polite”) tell us a lot about her – her values and compassion. Despite the value of his story and symbolism for the anti-Voldemort side, Molly regards real-life Harry more as an orphan, a boy alone, than as the child who came face-to-face with You-Know-Who and inexplicably survived. And we don’t know it yet, but Molly will personally see to it that this boy will never have to feel like an orphan again. Years before marrying the little girl who wants to “goggle” him, Harry will become an important part of the extended Weasley family. The marriage just makes it official. Weasleys, sing with the Weasleys. If you, if you agree with us. Weasleys, dance with the Weasleys. Sing out, sing, sing along with us. Maybe we’re not rich, but we are happy. Happy. Maybe we can’t afford a big, dark house like the Malfoys. We’re the Weasley clan and we love everybody. Everyone. If you came over you’d be a Weasley too. Yes, it’s true. 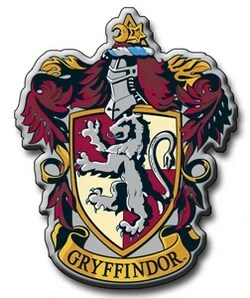 Oh, and by the way, the Weasleys (like the Potters) are all in Gryffindor – with its colors of scarlet and gold.